The teaching of Irish was found to be “problematic” in almost one in three lessons at post-primary, while Maths teaching was found to be “satisfactory or better” in just 77 per cent of schools monitored. A DETAILED REPORT based on Department of Education inspections carried out between 2010 and 2012 has highlighted shortcomings in how Maths and Irish are taught in Irish schools. The Chief Inspector’s Report says it is “of concern” that the quality of Maths teaching was rated as “satisfactory or better” in just 77 per cent of lessons observed in secondary schools. The quality of students’ learning in Irish was found to be “problematic” in almost one in three lessons observed, according to the report. Deficiencies in how the subject was taught were evident in 28 per cent of lessons. Overall, inspectors judged that 86 per cent of lessons observed in unannounced inspections at primary schools were judged to be “satisfactory or better,” while 14 per cent were “not satisfactory”. In post-primary schools, 87 per cent of lessons were judged to be satisfactory or better and 13 per cent not satisfactory. The Chief Inspector’s Report says that follow-through inspections conducted last year found that schools initially observed to be deficient were “making good efforts” to implement the recommendations of previous reports. A small number of schools where serious weaknesses were found have been referred to the Department of Education’s ‘Schools Improvement Group’ which will work with management at the schools to implement improvements. Reacting to the report, Education Minister Ruairí Quinn said that in the past, there had been a “marked reluctance” to acknowledge the school system’s failings and tackle its shortcomings. General Secretary of the ASTI teaching union Pat King said the findings of the report must be seen in the context of recent cutbacks in second-level schools, including the reduction in teacher numbers and a moratorium on middle management posts. “Some of the ‘weaknesses’ identified in today’s report correspond directly to areas affected by the education cuts. These include access to career guidance services, the leadership capacity of schools and pastoral care structures in schools,” King said. Email “Chief Inspector's Report highlights problems with Maths and Irish teaching”. 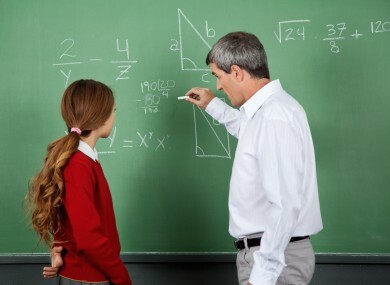 Feedback on “Chief Inspector's Report highlights problems with Maths and Irish teaching”.